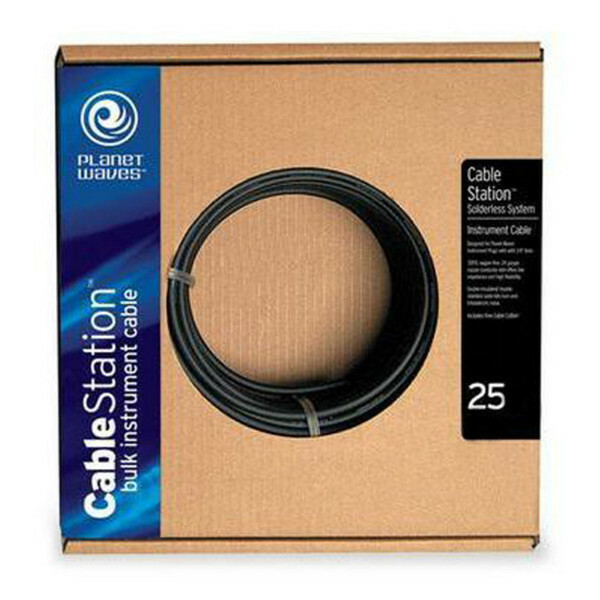 The Planet Waves bulk instrument cable is ideal for customising your own instrument cable, adapting your pedal board or for use in your studio. Find the correct length easily, this 25 foot bulk cable is marked at every foot for precise measurement. A Planet Waves mini cable cutter is included. The solderless cable kit means the end of messy, unreliable wiring. Custom-cut the length to suit your needs. You may be interested in other components in the Planet Waves Cable Station range such as the 1/4 inch plug or 1/4 inch Right Angle Un-Switched Plug. Watch the tutorial video above for a demonstration on the Cable Station series.